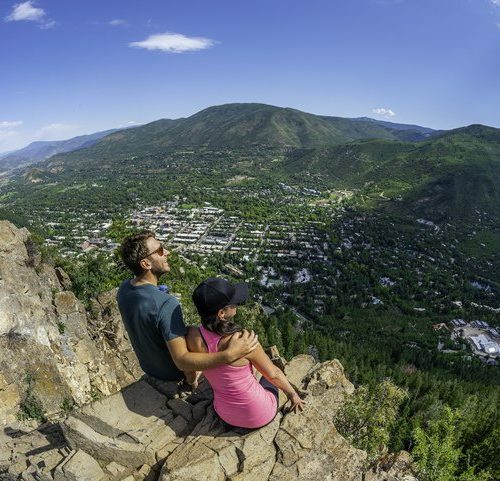 Almost everyone who visits Aspen will want to sneak in a hike at some point on their trip. It is little wonder why – the surrounding area provides enough trails, hikes, and routes to climb for a lifetime. For some, one of the most appealing outings comes in the form of climbing a 14er – one of Colorado’s majestic peaks which reach above 14,000 feet. Lucky for them, Aspen sits in the heart of these peaks. In a previous post, we provided a guide to the 14ers closest to Aspen. However, what is unique about those peaks is just how challenging they can be to climb. 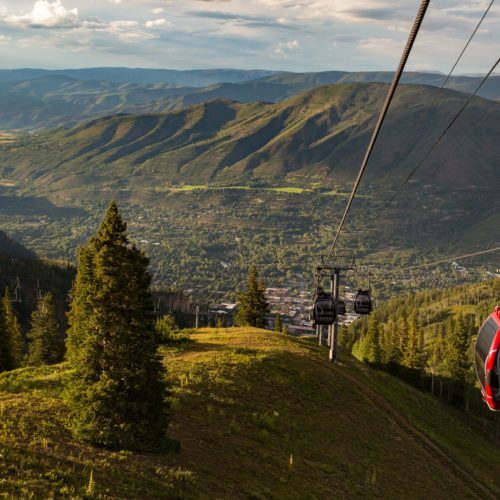 Aspen is situated in the middle of the rugged, rotten, and steep Elk Mountains. Climbing any of the 14ers very close to Aspen can be a challenging and difficult undertaking. Not to worry though, as we decided to write a follow-up post, exploring some of the other, much more attainable, 14ers which are just a bit further away. While the Elk Mountains can be steep and foreboding, the nearby Sawatch Range (on the other side of Independence Pass) offers some friendlier and welcoming 14ers which can be climbed from Aspen. All of the mountains in this post come from that range and are more attainable summits. And so, if you’re interested in climbing one of the easiest 14ers near Aspen, read on. Don’t Underestimate these Mountains. Despite these being some of the “easiest” 14ers near Aspen, these are still major mountains, replete with all the risks and dangers. Don’t take them for granted or underestimate the challenges. Start Early. Many of these routes are long, with a substantial amount of elevation gain. Start early to avoid weather and don’t forget to allocate enough time for the drive from Aspen. Have good fitness. Speaking of lengthy routes, that inherently makes these a physical challenge. While these 14ers may not have some of the technical difficulties of the Elk 14ers, they will still require a substantial amount of fitness to ascend. Let yourself Acclimatize. Giving your body and extra few days to acclimatize before setting out can be invaluable in your summit attempt. Check Independence Pass for closures. Almost all of these peaks lie on the other side of Independence Pass. The pass closes during the winter months, so check that the road is open before setting out. The 10 essentials. These should always be in your pack. Proper gear. Despite being easier 14ers to climb, you will still be in a high alpine environment for many hours on end. Ensure that you have the proper clothing and gear for the outing. Extra food & water. Many of the routes below will take a full day. Be sure you have enough fuel to last for the duration. A camera. The views up there are priceless. La Plata Peak in early spring, with the full Northwest Ridge visible in the background. 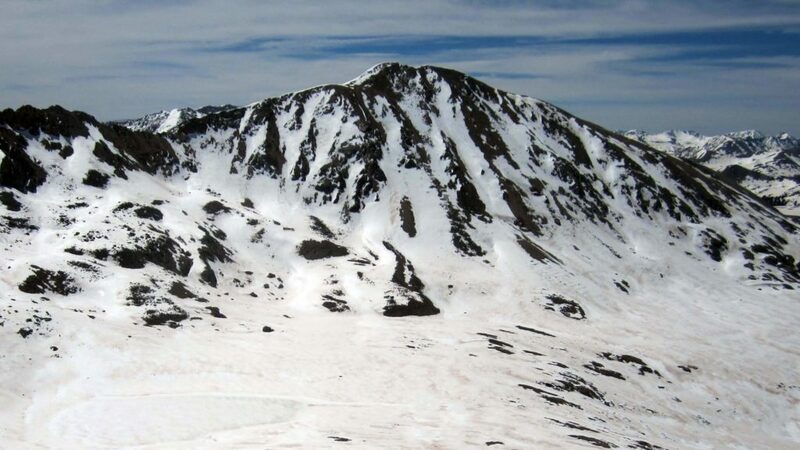 La Plata Peak might be the most attainable 14er within striking distance from Aspen. A mere 45 minutes outside of town (and over Independence Pass), La Plata’s trailhead is directly off of Highway 82. Lucky for us, the Northwest Ridge Route, which is the standard route up La Plata, begins here. The journey begins with a straightforward climb up a series of switchbacks through some nice forested areas and the beautiful La Plata Gulch. As you ascend higher, the route eventually makes its way onto La Plata’s Northwest Ridge via a series of talus fields, so be prepared for a bit of rock hopping. The trail is not always easy to follow beneath the ridge. However, once the ridge is gained, the remainder of the route simply follows it to the summit. The top of La Plata offers impressive panoramic views of the entire Elk Range, which towers over Aspen hidden below. 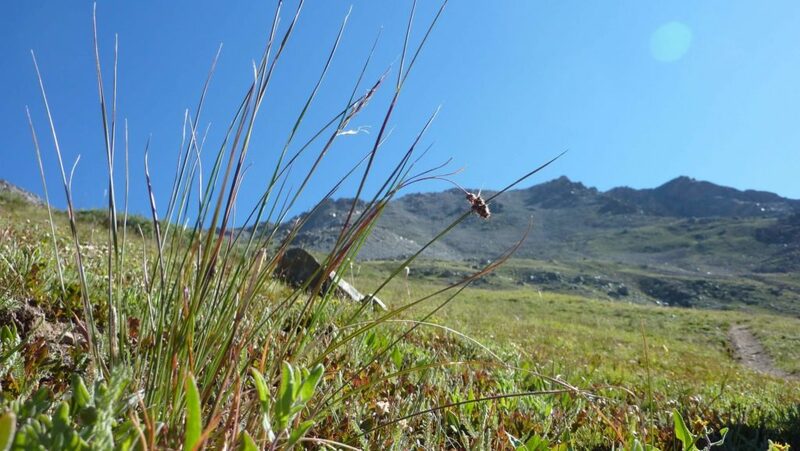 La Plata Tips: For experienced hikers, La Plata is probably the best bet for a 14er close to Aspen. While the route is long and does involve some moderate rock hopping once on the ridge, it is safe to say that this route is more straightforward than any 14er in the Elk Mountains themselves. For those looking for an established trail the whole way, however, Mt. Massive or Mt. Elbert (see below), are better options. Views from the summit of Mt. Elbert are tough to beat. The East Ridge Route up Mt. Elbert is not the standard route up the mountain, but it is still about as straightforward and attainable as it gets for any 14er hiker. This class 1 climb ascends via Mt. Elbert’s gentle east ridge. Although the route is long and requires a good deal of elevation gain, there is an obvious, excellent trail nearly the entire way to the summit of the mountain. For that reason alone, it is one of the most easily attainable peaks for anyone looking to do a 14er near Aspen. And of course, it has the bonus of being the highest peak in all of Colorado. Mt. Elbert Tips: The East Ridge can be shortened significantly for those with a capable 4wd vehicle. The relatively tame 4wd road can be driven to an upper trailhead, saving 4 miles and 800 feet of climbing. Considering the hour it will take to reach the lower trailhead from Aspen, shaving off this extra difference can be invaluable for an early start and a successful summit. The east slopes of Mt. Massive, seen from below. Mount Massive has a lot in common with Mt. Elbert. There is an easy-to-follow trail all the way to the top. The difficulty is manageable for most hikers. The distance and vertical gain will give you one heck of a workout. And it is the second tallest 14er in the state. 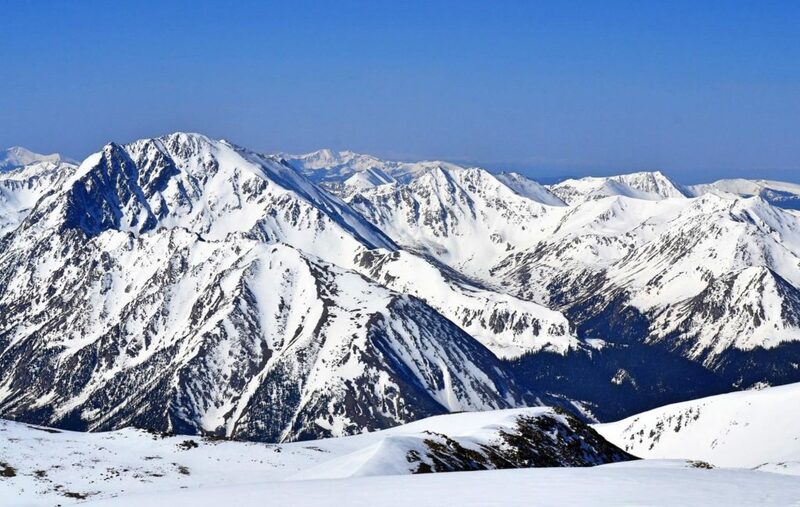 While this peak is a bit further afield from Aspen than our first two options, it is still an excellent choice to ascend if you are looking for new heights to explore. The East Slopes trail up Mt. Massive is the standard route up the mountain. Although it is a long day, the mileage is offset for by the excellent and obvious trail that ascends all the way up the peak. A long walk through the forest eventually gives way to the gentle alpine slopes of Massive’s East Ridge. Higher up on the mountain, the trail picks its way through talus fields en-route to the summit. Mt. Massive has four distinct summits which rise above 14,000 feet, and each can be explored further for those wanting a little bit more. Mt. Massive Tips: There is a shorter route up Mt. Massive nearby. The Southwest Slopes route is 6.5 miles and 600’ shorter than the East Slopes. However, the shortened distance comes with a price: this route is much steeper and has a far less defined trail. Plus it is a bit further of a drive from Aspen. For these reasons, the East Slopes route is probably the best bet for those looking for an easier 14er option. Twining Peak. The ascent route follows the ridge on the right. Thus far, all of the 14ers we have reviewed have required a drive over Independence Pass. 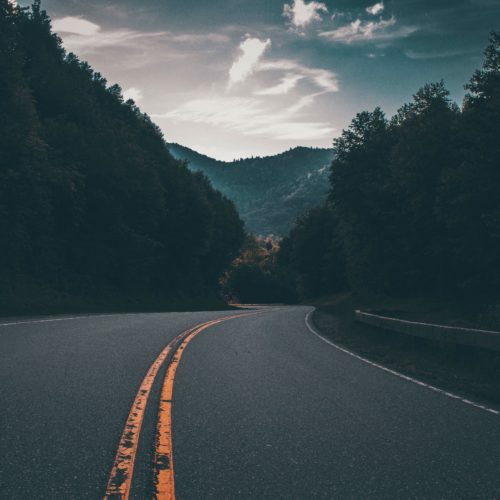 However, what about all those other mountains you pass along the way? Well, not to fear, this is what we also included a 13er nearby – Twining Peak. The great thing about Twining Peak is that it can be reached directly from the summit of Independence Pass. While not rising high enough to breach the 14,000’ mark, this 13er is a perfect option for those looking for a close, nearby, and straightforward mountain to climb near Aspen. After parking at the Independence Pass summit, the route is about as obvious as it gets. Simply follow the ridgeline to the North of the pass. While there is no trail, the passage is obvious on class 2 terrain. There may be some rock-hopping to be had along the ridge, but the difficulty should never exceed moderate. Bypass a small unranked summit en-route to Twining Peak beyond. 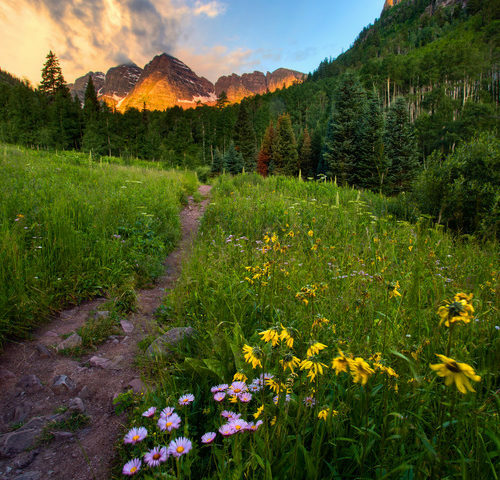 This wonderful summit provides unparalleled views of the Maroon Bells and other Aspen 14ers beyond. Plus you will get the chance to enjoy a whole new perspective from the views seen by the rest of the tourists along Independence Pass. Twining Peak Tips: Be very cautious of this route in the early season. When the snow has melted out, it is simply a ridge walk on boulders. However, in the early season, the snow along the sides of the ridge can be very steep and dangerous. Never attempt to climb this sort of snow without the proper equipment. 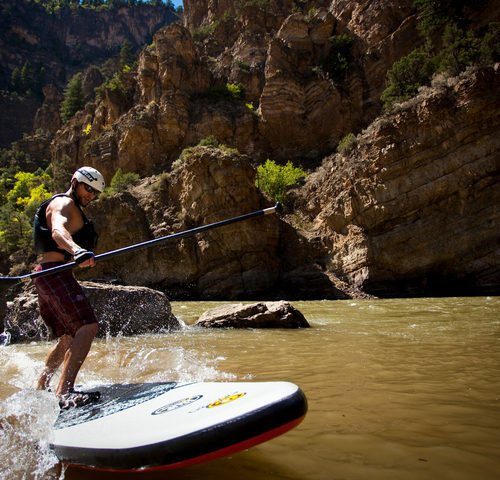 Stopping in Aspen before or after your ascent? Swing by the Limelight Lounge to carbo-load on wood fire pizza, or book a room and stay all weekend long.